I’m not sure if this is a breakfast food, but I had leftovers. These leftover latkes were peering out at me from the fridge, begging to be eaten. Applesauce is a staple in my fridge, as is cinnamon (I digress, but a post will be coming about the staples that one should consider keeping stocked, as I’ve realized that everything is much easier when I know what I use most often, know how to properly store it, and how long it will last). So GOOD MORNING! 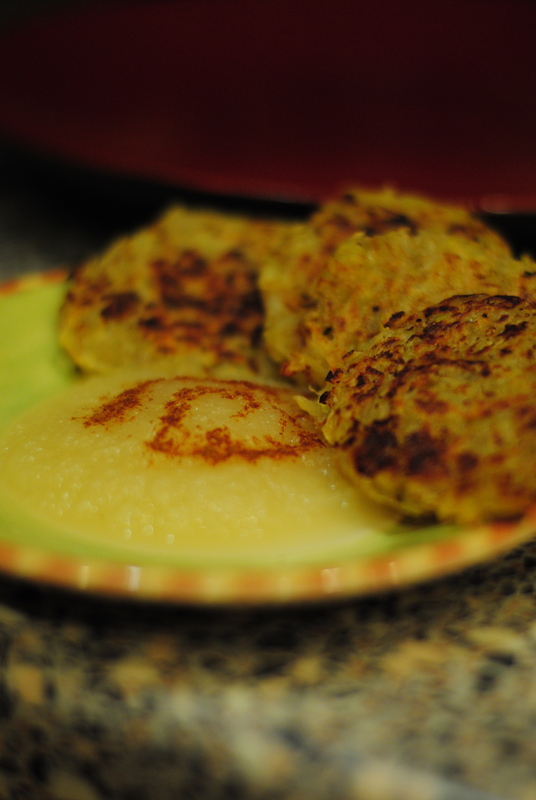 I’ll be making latkes more frequently knowing I can have them with aioli sauce in the evening, and then I can gobble up the remainders the next morning with cinnamon and applesauce. I’m sure it would also go well with whole apples (or any other fruit for that matter! ).